How about techniques fiber artists choose? 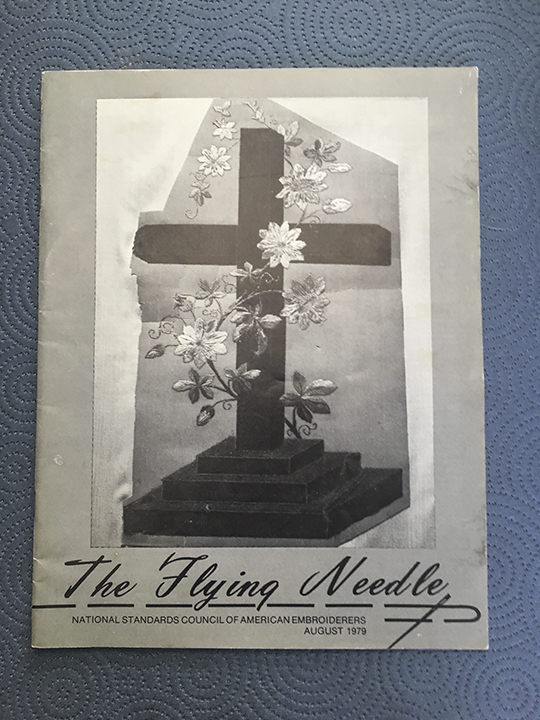 Once more I consulted earlier FI catalogs. 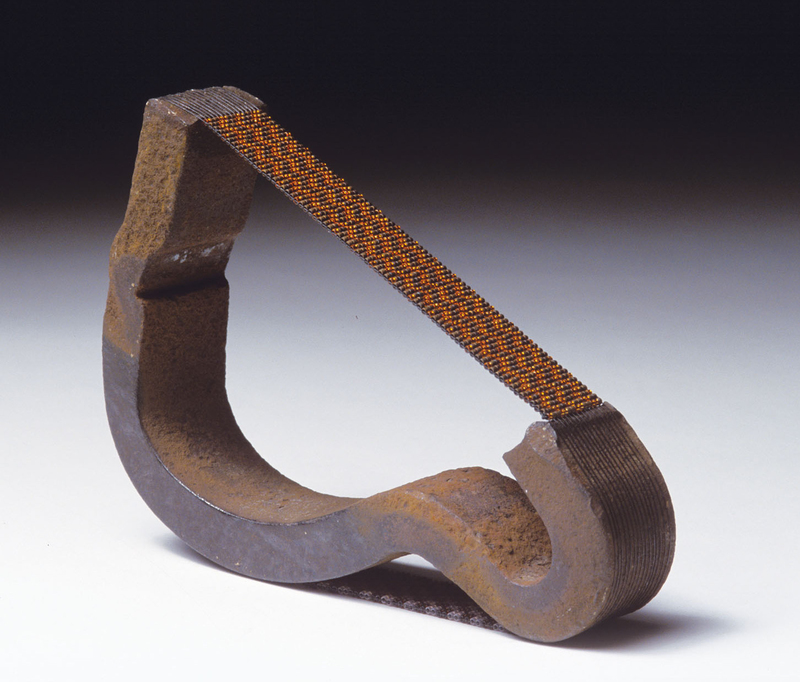 More about material fiber artists choose. 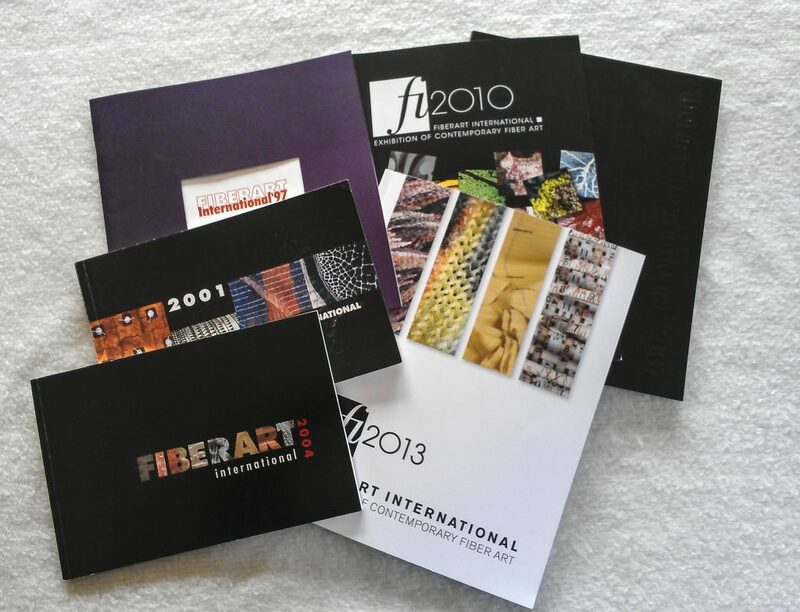 As fiber artists complete their entry forms for Fiberart International 2019 there is always that blank to fill out for an “Artist Statement.” For some it’s an easy assignment. For others it poses a real challenge. So here is a sample of opening phrases gleaned from catalogs for previous Internationals. My work is a response to my family history and homeplace of Appalachia. 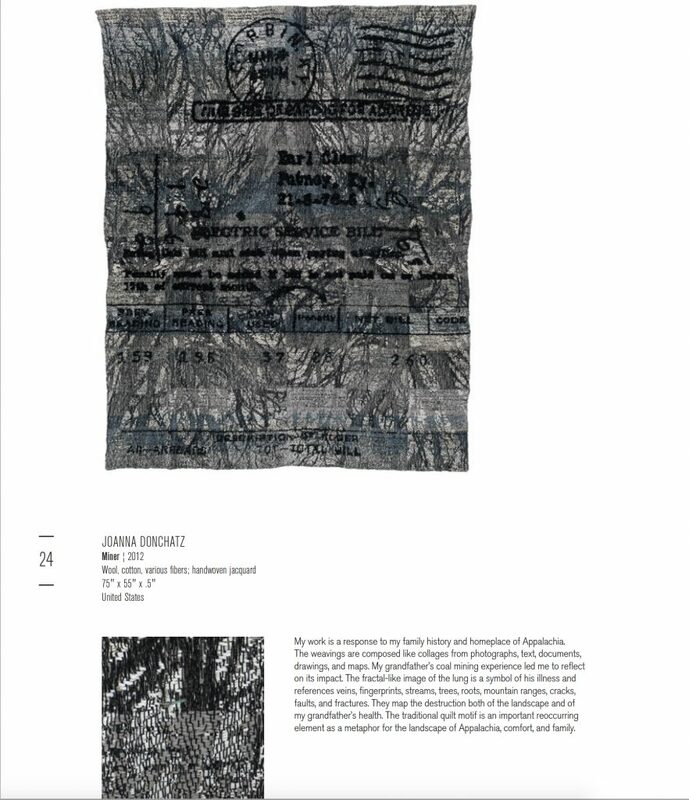 The weavings are composed like collages from photographs, text, documents, drawings, and maps. My grandfather’s coal mining experience led me to reflect on its impact. The fractal-like image of the lung is a symbol of his illness and references veins, fingerprints, streams, trees, roots, mountain ranges, cracks, faults, and fractures. They map the destruction both of the landscape and of my grandfather’s health. The traditional quilt motif is an important reoccurring element as a metaphor for the landscape of Appalachia, comfort, and family. 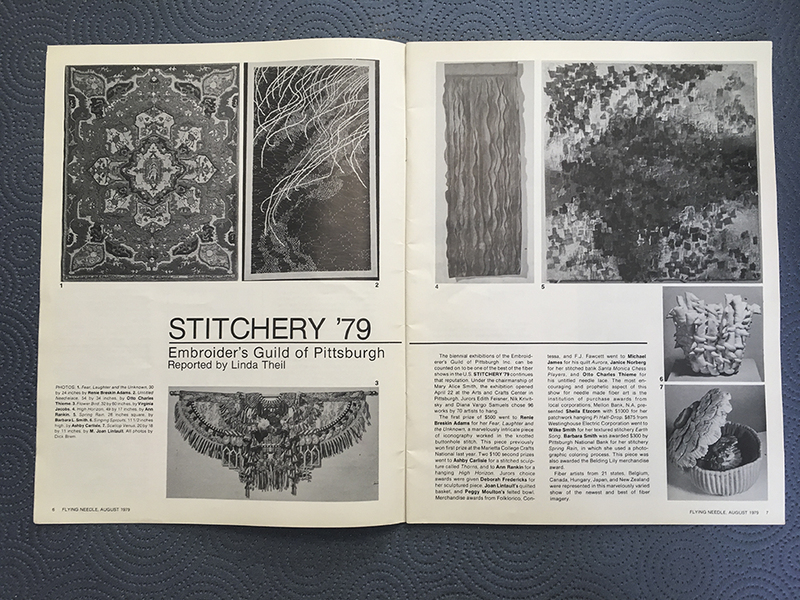 One of our long-time members was doing some deep housecleaning recently and came upon a Fiberart International treasure trove from the past—a 20th century prospectus, invitation, catalog, and review. I was delighted to get my hands on these juicy historical treats. 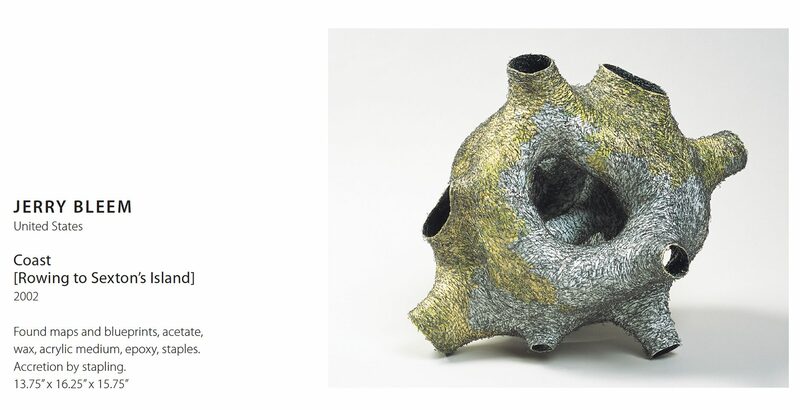 They conjure lost memories and significant milestones in Fiberart International’s history. Welcome to the last entry in our August, 2015 blog series celebrating the final days to enter your artwork for consideration into FI2016! 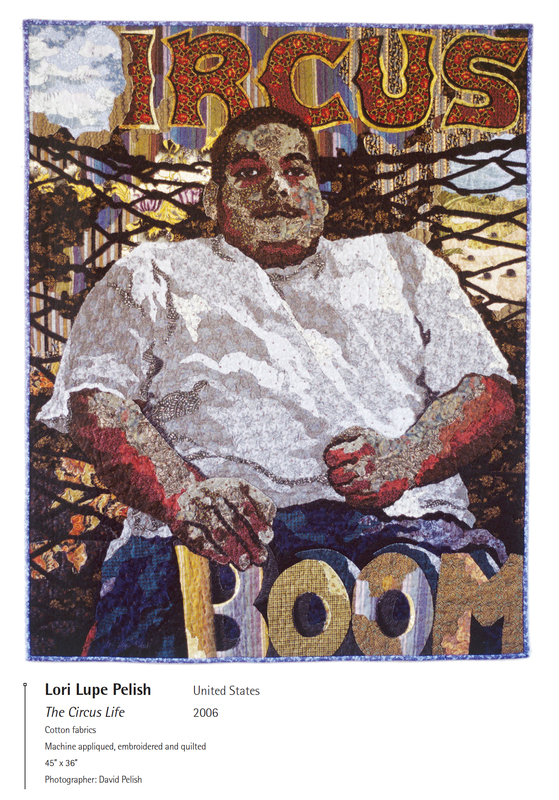 We’re highlighting different artist’s interpretations of fiber art that we’ve loved seeing in past Internationals. According to textile scholar Elizabeth Wayland Barber (Women’s Work: The First 20,000 Years), some of the very oldest evidences of fiber we know about are the strings and sinews that were used to link pieces of bone and stone together: the very first beads. 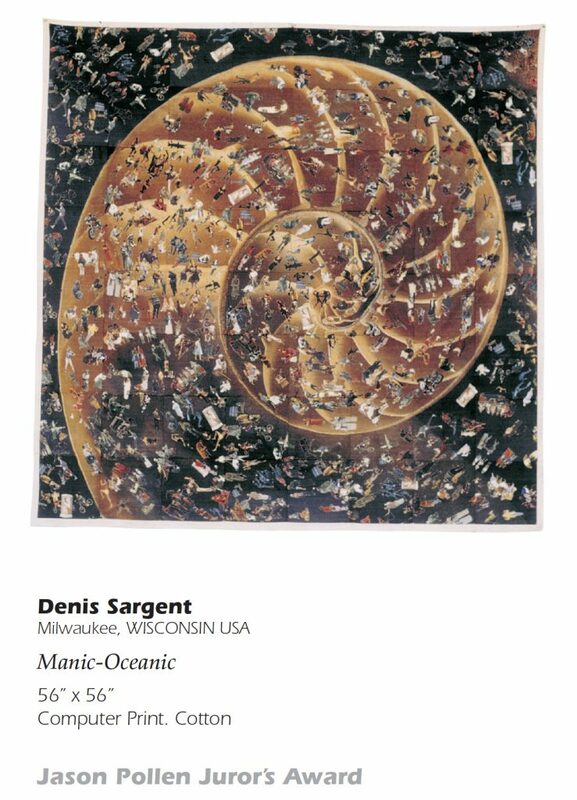 Textile artists have come a long way from stringing shells together. We’ve developed embroidering, weaving, looming, stitching: all ways of bringing thousands of glittering separate pieces together to create a work of art. Flat or sculptural, as an ornament for fabric or as a dense, shimmering fabric of its own, beadwork is a significant part of the fiberart tradition.